There are some things we should never put our pets through, and letting them ride in the backs of trucks by themselves is one of them. 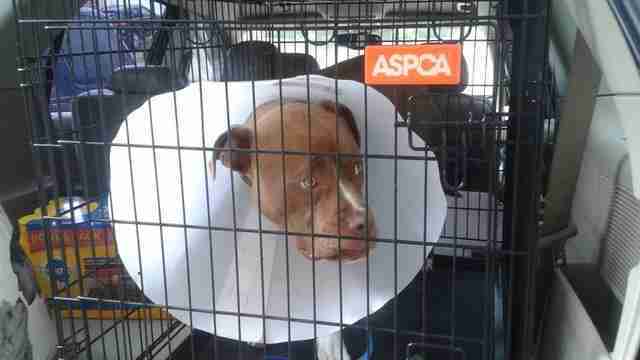 A typical busy highway in New Mexico turned to chaos recently when a dog fell out of the back of a truck and was badly injured by oncoming cars. 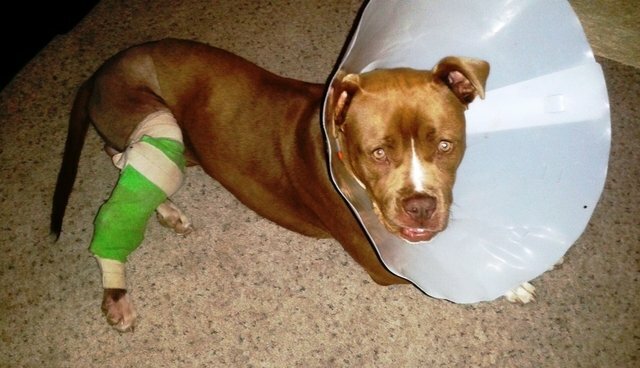 Homer, a pit bull, was stuck trying to dodge traffic after he fell and was hit. Bill Stiker was driving along when he saw the ordeal taking place. Stiker could have easily chosen not to get involved, but Homer needed help and no one else seemed willing to stop. He was able to get Homer into his car and drive him to the nearest veterinarian to get him the help he needed. Homer had no chip and the truck he fell out of couldn't be identified, so it was up to his newfound supporters to get him the medical attention he so desperately needed. Stiker was there to help with that, too. 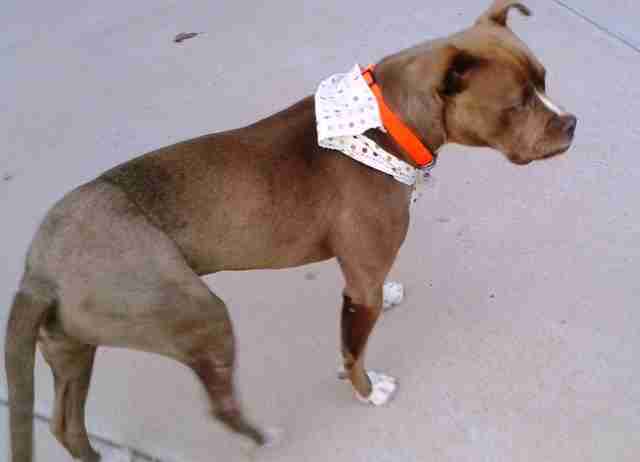 He raised over $3,000 to get Homer surgery, and with the help of Animal Humane New Mexico Homer was healed. 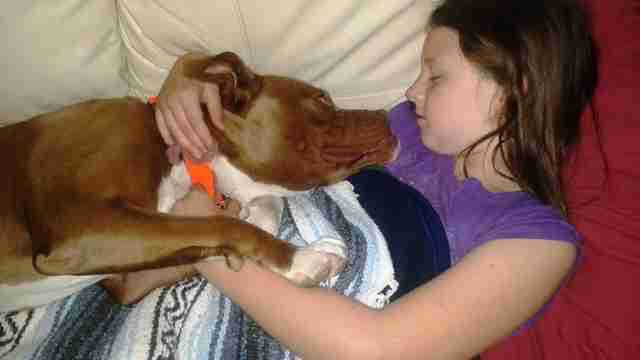 Homer was first placed in a foster home, and has now been officially adopted. Stiker couldn't take him on himself, but came back to visit Homer, and the reunion was, of course, adorable. Homer definitely will never forget the man who saved his life. Animal Humane New Mexico is equally thrilled with Homer's recovery, and just glad the situation wasn't worse. "We'd love to emphasize how dangerous it is for people to let dogs travel in the beds of their trucks," Laura Kuechenmeister of Animal Humane New Mexico told The Dodo. 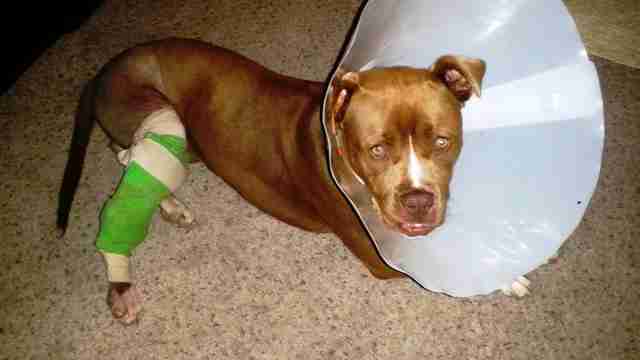 There have been other cases where dogs have been left alone in the bed of trucks and were badly injured. Dogs belong inside the car with the humans who love them, safe and supervised. If you are ready to add a pet in need like Homer to your family, check out Adopt-a-Pet to get the process started.